A3 format road atlas of France providing clear scale mapping, at 4.5 miles to 1 inch. This atlas includes French place names used to match local road signs and over 18,500 tourist sites shown on the mapping. A round Britain trip in search of our traditional teatime treats. In her encounters with those people making traditional cakes, Caroline Taggart unravels the stories behind why they originated, where and when they did, and meditates on their resurgence today, as we look to revive and celebrate local produce. 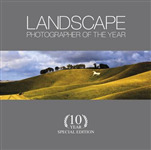 Showcases all the winning entries and many other memorable shots from the first 10 years of the annual Landscape Photographer of the Year competition. Every image is captioned with the photographer's account of the inspiration behind the picture. 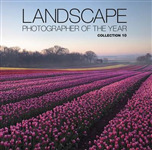 Showcases all the winning and commended entries from the 10th Landscape Photographer of the Year competition, the largest of its kind in the UK.